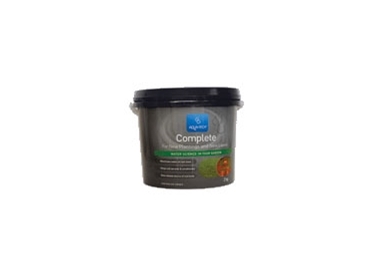 'Complete for New Plantings and New Lawn' is part of the range of soil conditioners from Aqua-Tech AGRI . This is a five-in-one product which has been designed to give new plants and lawns a good start. These soil conditioners include a formulation of fertilisers, seaweed and water saving compounds. In addition, new polymer based technologies mean that water is used very efficiently. Aqua-Tech 'Complete for New Plantings and New Lawn' is applied to the soil around the root zone of plants or under new lawns.